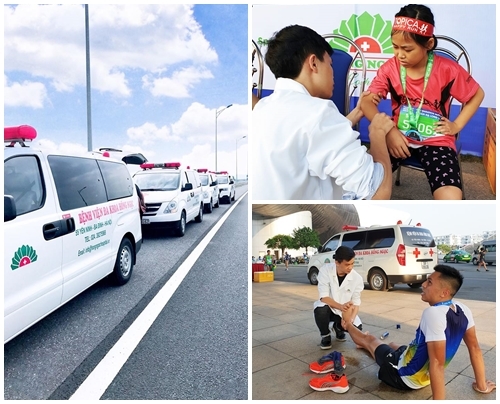 As the marathon’s medical sponsor, in 25th November 2018, Hong Ngoc General Hospital supported Halong Bay Heritage Marathon – one of the biggest and most professional international marathons hosted in Vietnam, ensuring safety for all runners. 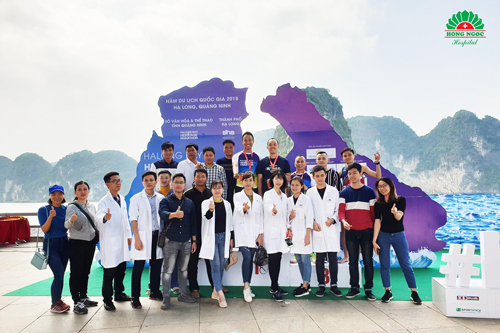 Annually held in the third week of November, this year, Halong Bay Heritage Marathon attracted about 1700 athletes, including 800 foreign runners coming from 60 countries across the world. The marathon consisted of 4 distances, namely 42km, 21km, 10km and 5km. 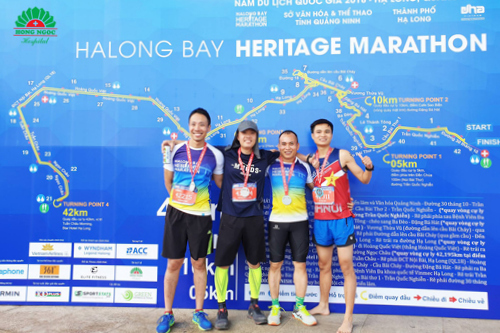 Halong Bay Heritage Marathon allows nature-lovers to challenge themselves while exploring the beauty of Halong Bay – the world natural heritage recognized by UNESCO. The races are uniquely designed, bringing runners a chance to run on Bai Chay Brigde – the longest bridge in South East Asia. During the race, runners would admire the majestic scenery Halong Bay from above as well as other impressive works. To support the marathon’s participants conquering this intriguing yet challenging race, Hong Ngoc has excellently completed the role of ensuring the best health conditions for runners. The medical team, including4 doctors, 6 nurses and 4 ambulances, always ready to timely solve any health problems along the race and at the finish point. 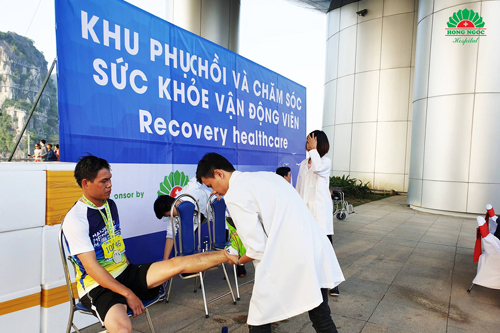 This was a great chance for Hong Ngoc General Hospital to promote its strength as the official medical sponsor of big running events. Moreover, some leaders and staff of Hong Ngoc Group participated in 10km, 21km, and 42km distances. Let’s look at some pictures taken during this heritage marathon. All cases of cramps, muscle spasms, and other injuries are quickly handled.